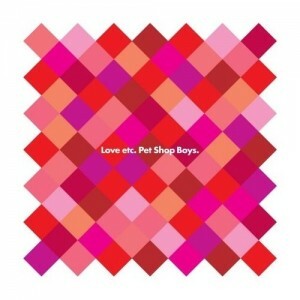 PET SHOP BOYS : Love Etc. The Pet Shop Boys have always been a little ahead of their time when it comes to their video clips – one only needs to look at the kerfuffle made by their ‘Being Boring’ clip with the naked man on the trampoline or the clips from the ‘Very’ era as proof. There were also a couple of famous mis-steps – see ‘Home And Dry’. BUT, we’re happy to say that the lads are back in better territory with the clip to their single ‘Love Etc’. It features Neil and Chris in animated gaming territory, making their way through the tumultuous world of love. It’s look is actually rather reminiscent of those ‘Very’ clips – think ‘I Wouldn’t Normally Do This Kind Of Thing’ and ‘Liberation’, albeit a little more two dimensional. It’s not what we were anticipating, but it’s all rather striking all the same.